Roaring Fork Skydivers is one of Colorado’s finest skydive facilities boasting a top safety record and a professional staff with a great attitude. 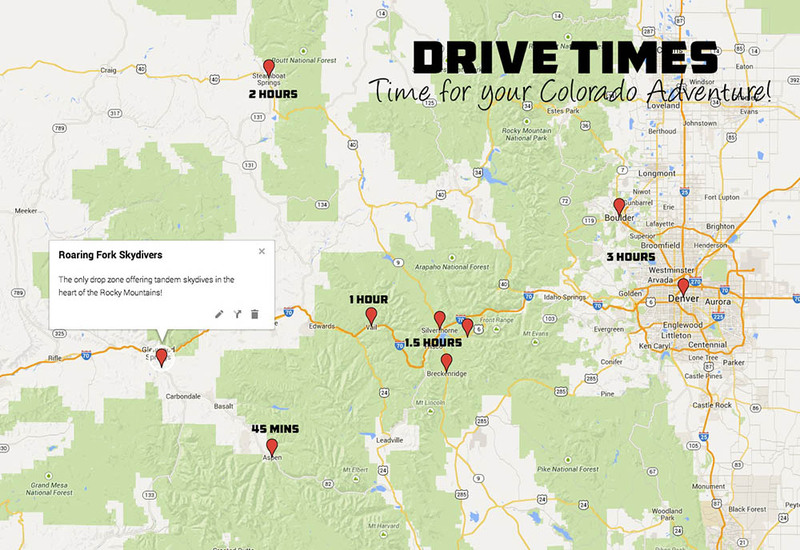 We are the only drop zone offering tandem skydives in the heart of the Rocky Mountains! On the ride to altitude you will be viewing one of the great wonders of the world. The Continental Divide can be seen off in the distance as well as the Maroon Bells (one of the local 14er’s) Aspen Ski Resort and Glenwood Springs. Watch the Colorado River as it cuts through Glenwood Canyon and joins the Roaring Fork River! You will be happy you made Roaring Fork Skydivers your choice for a tandem skydive. Knowing you will be with a safe, professional staff with an emphasis on customer service giving you the attention needed to have a fun relaxed skydive. 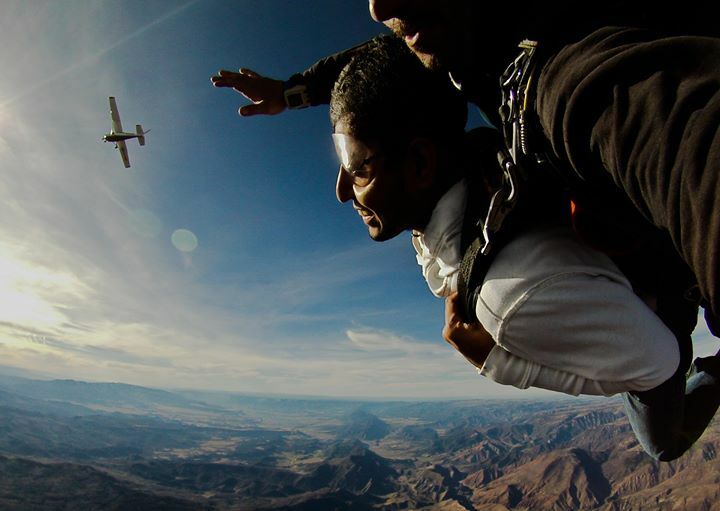 Come on out and experience what has been said to be “quite possibly the most scenic skydive” around!